Assist an Illusionist to perform his art with this new release by Betsoft - True Illusion.Set on a stage, you have to help a magician give the best performance ever by spinning the reels so as to reveal the wonderful prizes which are hidden in the slot. 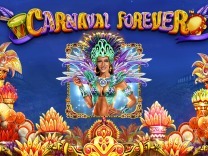 You will be amazed by how awards appear whenever playing this slot. True Illusions is a 5-reel, 3-row and 30 payline slot with tons of features for you to enjoy.So get ready to uncover the secrets of illusions by playing this slot for high returns. 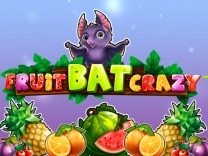 True Illusions highlights the expertise with which Betsoft creates its games. 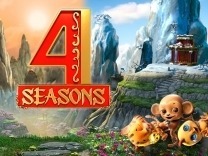 The collection from Slot3 gives players high definition gaming, quality graphics and well laid out theme. True Illusions demonstrate just this. It features one of the best graphics in the gaming industry. Highly animated characters make it exciting to play True Illusions. To enjoy this game, all you have to do is access it through your web browser. The graphics will not hinder you from playing it and you do not need to download any software on your device.True Illusions is set on a stage where a magician, and he is performing different tricks and illusions. He is always by your side as you continue spinning the reels. If you happen to delay, he will nudge you to spin the reels.If you are looking for a medium variance slot with tons of prizes to be won, this is the slot to play. It will give out regular payouts between spins. It is recommended for all players especially those who love illusions and magic tricks. 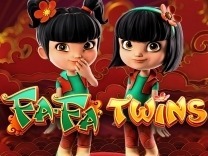 Whenever playing this slot, you will find that there are different characters which make it exciting and fun to play. Symbols such as the magician's assistant, a magic box, a guillotine, hand holding a coin, a pigeon, a magic orb, a top hat and a hand holding a white napkin. These are the standard symbols on the slot and will offer a high payout of up to 2500 coins for matching 5 of these symbols. Matching 3 of these symbols will offer a low payout of up to 25 coins.Before redeeming the prizes which are hidden within this slot, you have to set a wager. You can do this by adjusting the number of paylines, coins and coin value using the -/+ buttons at the bottom of the slot. You can adjust the paylines between 1 and 30 lines, the coin value between 0.02 and 1 while the number of coins per line between 1 and 5 coins per bet line. For players who would like to sit back and watch as winnings land, then there is an autoplay feature which will allow you to avoid manually spinning the reels. In True Illusions, you will find 30 paylines which will give you multiple opportunities to make winning combinations with each spin. You have to match at least 3 symbols on an active payline to receive a payout.Watch out for the Magician's assistant as she is the best symbol in True Illusions. Matching 5 of these symbols will award up to 2500 credits. 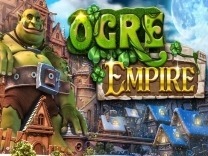 While you will find an exciting base game, there are also bonus features which make it enjoyable to play this slot. 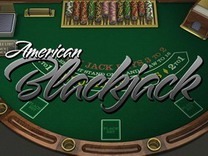 The bonus features are incorporated to allow players to land wins without frustrations. 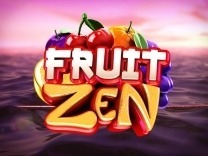 These features include wild reels, free spins, and the pick a card feature.The magician symbol in this slot will activate the free spins. 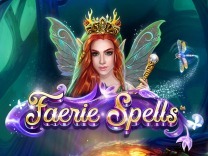 Landing 3 or more magicians symbols anywhere on the screen will award free spins. During this feature, the reels will cascade down for each spin. Winning combinations will vanish allowing new combinations to fall into place.There is also a wild symbol which will substitute all other symbols in the slot except the illusionist and the cards. Get3 stacked wild symbols on the centre reel to unlock the wild reel. This will turn the entire centre reel wild for a number of spins. It is important to note that, while the wild reel is active you cannot change the coin value or the bet amount. Changing the coin value will end the wild reel and you will return to normal gameplay.Finally, there is a pick a card feature which is triggered by landing 3 or more card symbols anywhere on the screen. You will be required to pick a card so as to earn instant bonus credits.